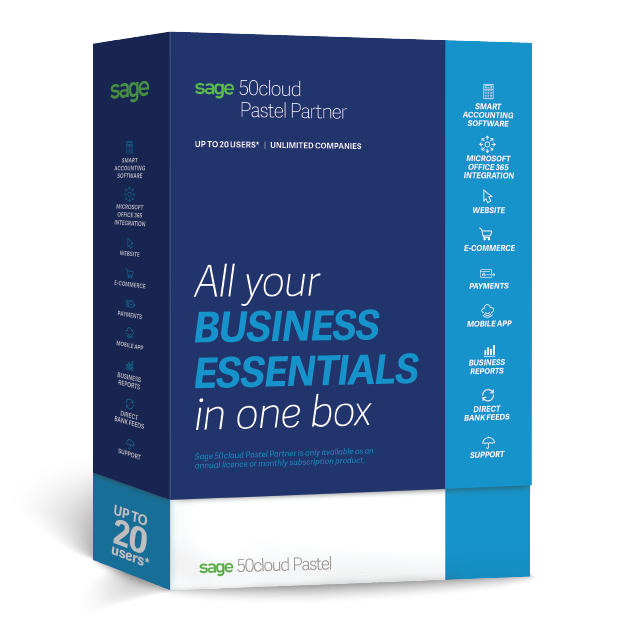 Sage 50cloud Pastel Partner provides this comprehensive small business accounting software that’s an integrated solution to help business owners manage their bookkeeping activities simply. Your business is growing and it’s essential that you have the right software to help you succeed. We understand that finding the recipe for business success can be tricky. Our holistic software solution for small and medium sized businesses includes the tools you need to gain control of your business. 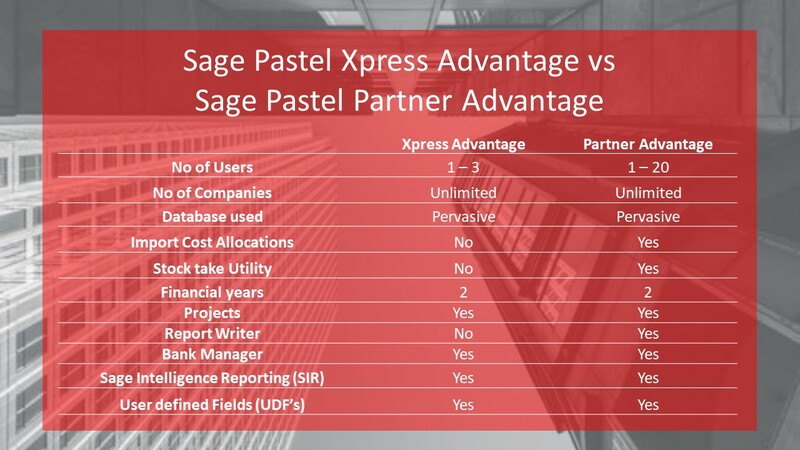 Sage 50 cloud Pastel Partner is more than traditional small business accounting software. Work smarter using automated business processes, always receive the latest software version at no additional cost and have access to unlimited support when you need it with our small business accounting software. Built-in tools such as intelligent reporting, automated bank feeds and mobility give you real-time accurate information, freeing up time to focus on running your business with confidence. Ready to automate your business processing?